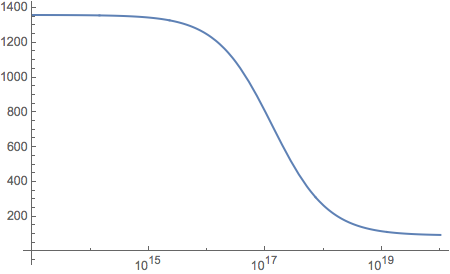 In plotting a function with specific set of parameters using LogLinearPlot, Mathematica throws a SystemException[MemoryAllocationFailure] error. It works on occasion with other values of parameters, and always when simple Plot or LogPlot is used. Do you have any suggestions? With V11.1.1 running on OS X 10.10.2, I didn't get an error message, I got a kernel crash. A work-around is simply to change b from an exact number to a machine float. Is this a bug in TimelinePlot?